/ Modified jul 20, 2017 4:01 p.m.
Save Our Schools Arizona won't say how many signatures they've collected, just that more are coming in every hour. Organizers of an effort to block the expansion of Arizona’s school voucher program say they are on track to succeed. The group isn’t disclosing how many signatures have been collected, said communications director Dawn Penich-Thacker. "But they are coming in, literally, in huge stacks all day every day." She said the group expects to exceed the number of required signatures and is aiming for upwards of 100,000. "We know that historically the secretary of state’s office will invalidate tens of thousands of signatures for various reasons," said Penich-Thacker. "So to make sure that we definitely hit that requirement we are going to build a cushion of extra signatures." Arizona’s school voucher program, or Empowerment Scholarship Accounts, was created in 2011 for students with disabilities. In recent years, it’s been opened up to kids on reservations; those with parents in the military; wards of the state; or children in failing schools. Gov. Doug Ducey signed a bill into law earlier this year that extends eligibility to all students. "Every bit of money that leaves our already-starving public schools hits families the hardest," said Penich-Thacker. "Most families — upwards of 85 to 90 percent — are choosing public schools, so this is affecting the vast majority of Arizonans. The law is slated to take effect Aug. 9. 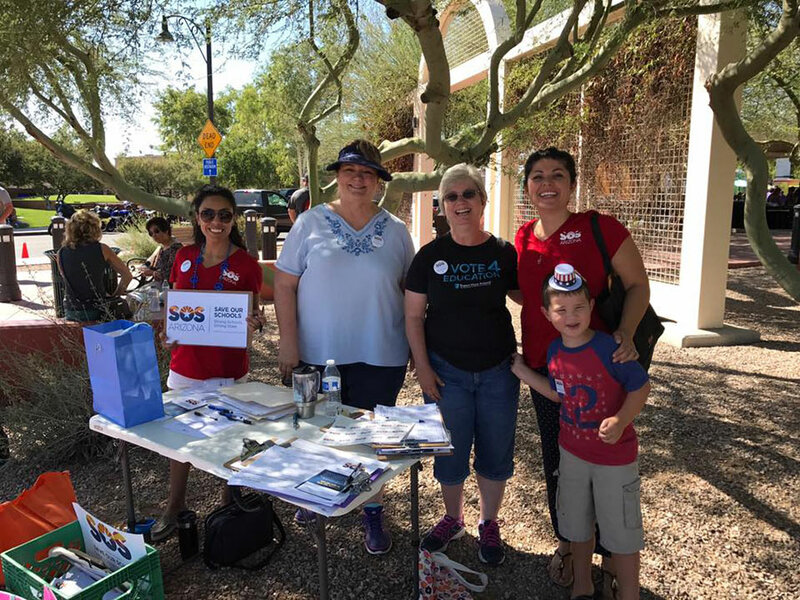 However, if Save Our Schools Arizona's petition is successful, it will be put on hold until voters have a chance to weigh in in next year’s election.